Local Training Initiatives (LTI) | Cloyne Diocesan Youth Services Ltd. The Local Training Initiative programme is a community based training course, primarily for unemployed individuals aged between 18-35. These initiatives are designed to empower, build on personal development and encourage participation and learning. The LTI programme is developed to learners who may require additional support to access and undertake training as part of their agreed pathway to work or further education. The programme is designed to provide opportunities for learners who are unable to participate in other training for personal, social and geographic reasons. CDYS have a number of LTI’s in the Cloyne Diocesan. If you are interested in finding out more about these programme’s please contact each individual Programme leader (see below for contact details) or you can go to the Cork Training Centre website. 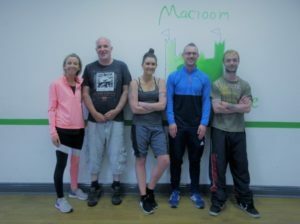 The Good Lives Project Macroom has just completed its 4th year and continues to evolve year by year. Its early years delivered modules leading to a full QQI level 4 Award in Employment skills, then in response to our evaluation, moved to a full Award in QQI Sport and Recreation. This year, again responding to the needs of the local community we progressed to a higher level, QQI level 5 in Community Development. This Award included options to specialise in either Exercise and Fitness or Horticulture following on from the previous year’s modules. Community Development itself was a huge success with our learners despite the heavy work load. They enjoyed gaining the knowledge and understanding of how Community Development has helped shape the society we live in and how it highlighted the steps that are available to for people to change their life circumstances. During the year we took part in community activities such as Macroom Food Festival, Inchydony beach clean in conjunction with Inchydoney Hotel, mural of Macroom past and also helped out with Tidy Towns. 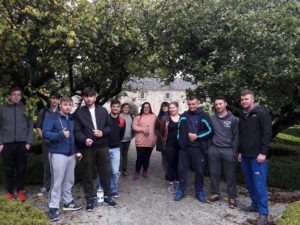 Some of our learners also undertook work placements with Ted Cook, a local environmentalist and ecologist, in Macroom Castle grounds. They spent their time planting young trees and learning the importance of caring for their local environment and it impact on a societal level. Other work placements included SVP, Gorta, Tidy Towns, Age Action, Fins Garden Centre, and the Linkage Programme and we would like to thank all those involved who assisted our students and for the continuing support they have shown to our project. This year the Horticulture module was taken up by eight students, who successfully completed and passed this Fruit and Vegetable production module. 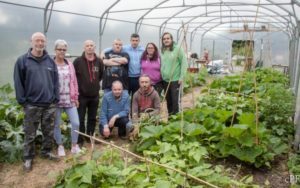 The polytunnel produced and is continuing to provide the centre with a range of produce such as courgettes, turnips and radish for the centres kitchen. Dwarf French Beans, Potatoes, tomatoes and cabbage are to follow. An overhead irrigation system with timer has been fitted, much to the relief of the early morning watering rota. Considering the long wet winter and this current drought much was experienced and learnt and I am looking forward to the coming year and the development of the outside fruit and vegetable garden. The Exercise & Fitness module introduced the principal theories of planning and evaluating exercise programmes and applying these theories in a practical fitness instruction context. Learners also have a detailed understanding of human physiology and how the body works during exercise. The Exercise and Fitness module provides learners with specific information on how to interact with people in a fitness environment. 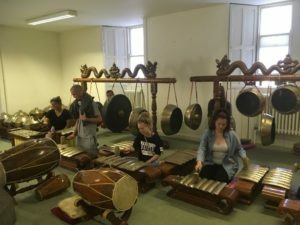 The goal of improving the health and fitness of clients will be underpinned by the practical learning of exercise to music skills, resistance training, circuit training, floor work and flexibility techniques. With this theoretical and more importantly practical understanding of Exercise and Fitness the learner will be confident in the application of techniques in a practical fitness environment. 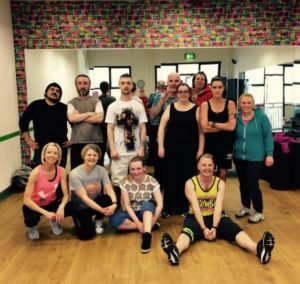 We would like to thank Macroom Community Gym for their involvement and support in this module. Other modules included Working with Groups which equips participants with the skills to effectively participate in and lead groups, learning about group dynamics, group theory and managing conflict. We had a good base having the Teamwork module complete and had good fun with ice breakers, energizers and partaking in role-plays. Over all the Community Development Programme has been a great success and a greater understanding of the process of community support was gained and enjoyed by all. Many thanks to all staff, tutors and volunteers who have made 2018 a fabulous year and we look forward to our next Good Lives Community Project beginning in September 2019. 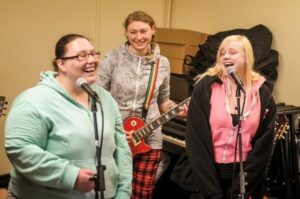 East Cork Music Project was in established in 2011 in collaboration with CDYS and Cork Training Centre. Since then the project has gone from strength to strength, now offering QQI courses in Employment Skills (Level 4) and Music (Level 5). Our participants come from a diverse range of backgrounds and are aged between 16 and 25. Many of these young people have experienced difficulties in engaging with education or training. ECMP is committed to the delivery of person-centred, empowering education, designed to support participants in their progression to further education or employment. Our aim is to facilitate each participant’s personal, professional and artistic development, and to encourage their active participation in the community. In the 2017 – 18 year, ECMP held a number of events in the community, including a number of gigs, a Christmas Craft Fair, an exhibition in the Midleton Arts Festival and two performances as part of the Lifelong Learning Festival. We also received funding through the Cork County Council Arts Grant for a new project called Midleton in Song, a series of collaborative workshops involving ECMP participants and the clients at McAuley Day Care Centre at Midleton Hopsital. ECMP is a year-long, full-time training course catering to 20 learners. 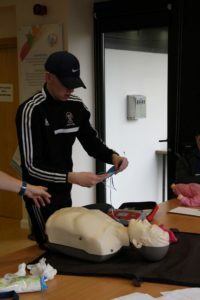 The North Cork Sports and Recreation course in The Big Blue Cube give young people the opportunity to participate in a training and education course that will develop their skills in this area while also working with them on their personal development. On this project a participant can expect to achieve a QQI Level 4 major award in Sports and Recreation. This will provide them with the skills and capacities required for progression. In particular it will open up natural progression routes into Mallow College as well as centres of further education in Cork City. CDYS also work with the participants in ways to raise their confidence and self esteem, develop their skills and capacities and provide a structured pathway for moving forward in their lives. This is achieved by offering participants access to external courses such as mindfulness and wellbeing, mental health awareness, first aid, zumba fitness, yoga, photography and film making workshops as well as the Sort It programme which deals with barriers to learning for young people. The course starts in September each year. The course is also free and participants keep their social welfare payments while attending the course. It has been an exciting year at Film at CDYS. While running workshops remains part of Film at CDYS, we’ve really focused on the creating content to showcase the often unquantifiable work of staff with service users. In October we created a documentary charting the work of the Feabhas Garda Youth Diversion project run by Jimmy Dunlea and Niamh Ryan in Cobh. A Day in the Parish featured exclusive interviews with past and present service users and looked back at the many activities that the project has participated in. Return from Death Row saw our attention swing back towards the North Cork filmmaking project and charted the life and adventures of student John Paul who had written and visited inmates on death row around the world. It also looked at his experience in the project as a mature student and his interaction with both the younger learners on the project and staff. 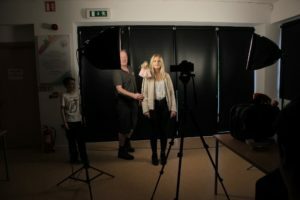 We also ran a music video making workshop that saw puppeteer Dominic Moore of the RTE’s the Morbegs show students the basic of puppeteering for television. The following year looks set to be a very busy one with further plans to document other CDYS projects and to create a video database featuring information about each project as well as resources for staff training.